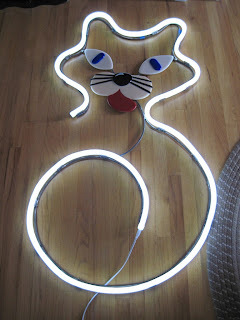 I still need to paint and hang the neon cat. The cat is approximately 5 feet high. The neon is actually LED encased in plastic cover to simulate neon. 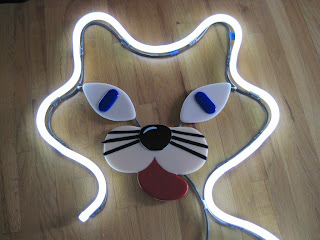 The cat face is fused glass. I used white neon so you can see the fused glass colors. The outline of the cat was done in Adobe Illustrator. 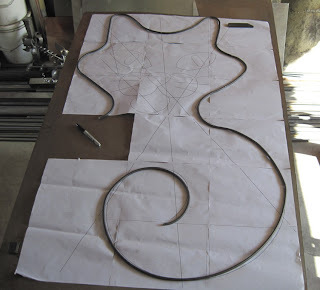 The program allows you to print the design out on 8 ½” by 11” paper which you tape together. This allows you to scale the design to the size that works using the LED neon. The plastic coating has limits on how tight of a radius that you can bend it. The neon is supported by aluminum channel. 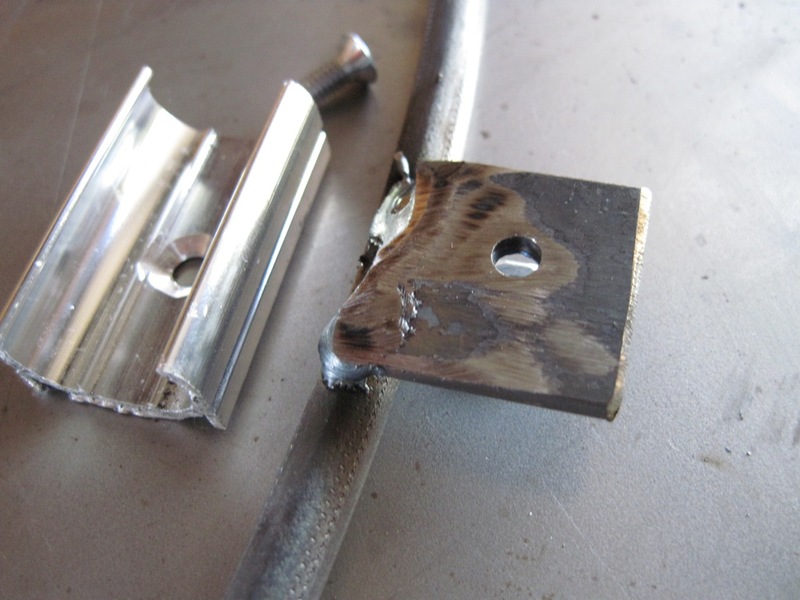 It comes in 3 foot lengths which I cut into 1 ¼” length which I bolted to the steel frame. 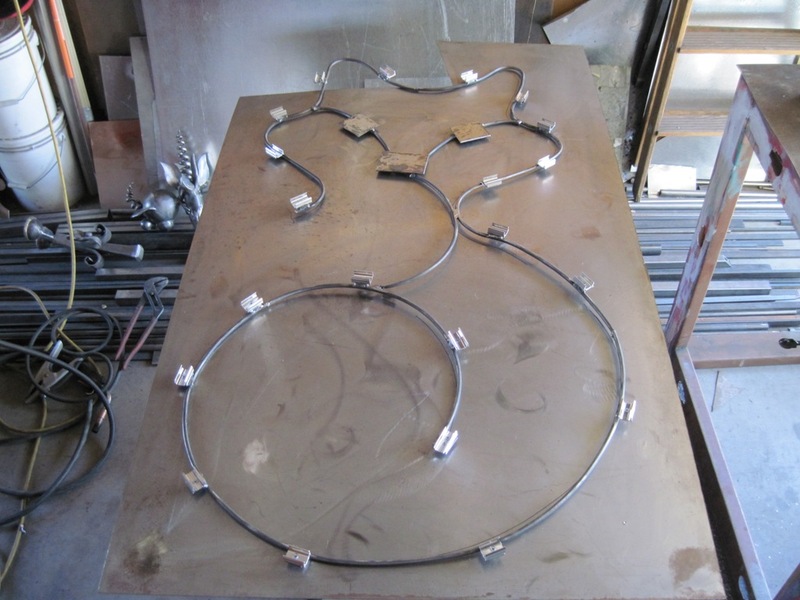 The framing supporting the neon is 5/16” diameter steel rod. The steel rod turned out to be a little too flexible so I had to add additional support. When I paint the frame white, it will blend into my white walls.